Saying Florida Georgia Line’s Tyler Hubbard and Brian Kelley had a “good” week is a bit of an understatement. 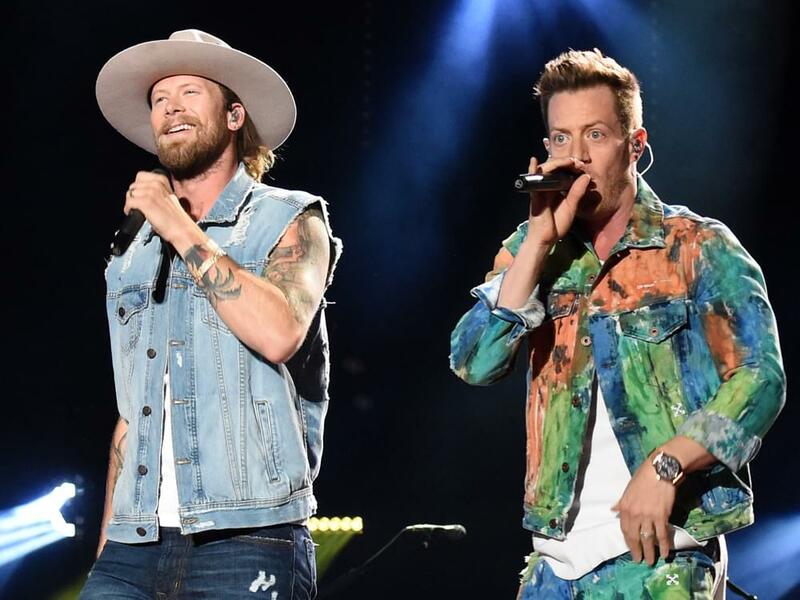 FGL became the first country duo/group in history to score three simultaneous Top 10 singles on the Billboard Hot Country Songs chart, which is calculated by compiling airplay, digital sales and streaming data. The duo’s collaboration with Bebe Rexha, “Meant to Be,” is currently No. 1 on the chart for a 28th week, while new single, “Simple,” is No. 5 and their joint effort with Morgan Wallen, “Up Down,” is No. 7. One day after the Country Power Players event, FGL took home the CMT Music Award for Performance of the Year for their collaboration with the Backstreet Boys, “Everybody,” on CMT Crossroads. Closing out their “good” week, Florida Georgia Line performed at CMA Fest’s Nissan Stadium on June 10 in front of a capacity crowd, enlisting some help from their cohorts—Backstreet Boys, Morgan Wallen and Bebe Rexha—during their set. Check out the photos below.